"Develop personal excellence on and off the slopes." 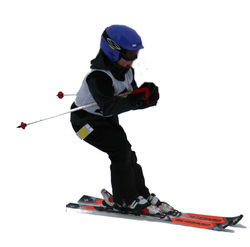 Starting with the fundamentals of skiing children aged 4-19 take part in a fast paced ski race program based on the principals of growth development and maturation as outlined by Alpine Canada in the "Alpine’s Athlete Integration Models". "leverage athletics and Alpine Ski Racing to encourage our youth to achieve personal excellence and instill a lifelong passion for sport."